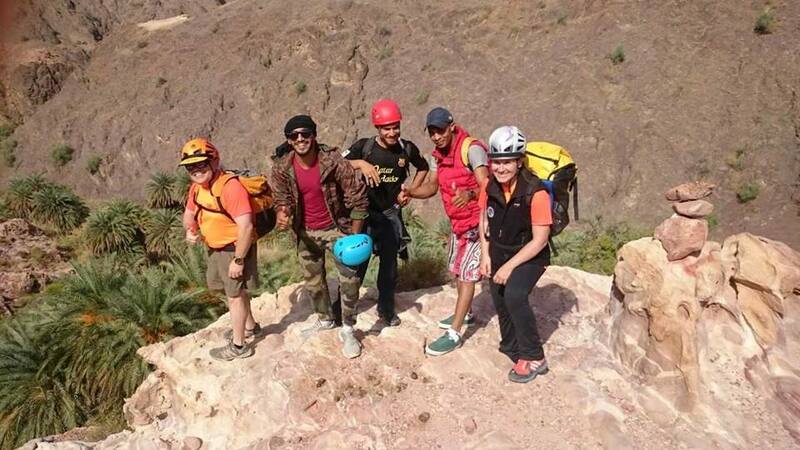 Al Numeira Environmental Association (NEA) was created after a group of people from the community finished a hike in a nearby wadi. They were disheartened by all the trash and pollution in their beautiful village and decided to form an Environmental Association to counteract it.  Al Numeira Environmental Association's mission is to promote innovative water conservation methods and environmental education to build a more sustainable future and improve human well-being in the Jordan Valley. Al Numeira Environmental Association hopes to alleviate this resource constraint for individuals in the South Ghor through the use of greywater management, rain-water harvesting, and permaculture. Furthermore, we aim to educate the citizens of South Ghor on how they can implement these practices in their own lives, so as to create a more sustainable lifestyle for both themselves and their children. Since our formation, we have built a team of local volunteers and a network of international support eager to help in our cause. NEA offers an environmentally friendly alternative to the lavish tourist locations currently present in the Dead Sea region for example biking, hiking, wwoofing and home stay. The Dead Sea tourist experience is often monopolized by high-end resorts, which do not offer unique or authentic experiences. Al Numeira Environmental Association offers guests outdoor activites and food that showcase the area while adhering to principles of conservation. participate or learn about their permaculture garden, greywater system, or other projects can come to stay onsite in the mudbrick house where they will be treated as a member of the family. Cycling: Al Numeira has started a bicycle tourism program that can generate income for the NGO and for the local community. The bicycles are also used by volunteers to get to and from the site the reason behind clean transportation. 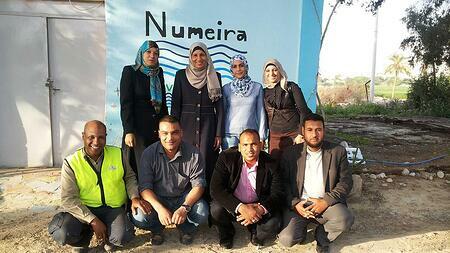 Tourists can visit Al Numeira and tour the surrounding farmlands or visit the greywater treatment site. Hiking: In addition to cycling, Al Numeira also offers guided hikes into the Wadis that surround the South Ghor region. The hiking experience is another source to generate funds for the NGO and the local community. Guests will have the opportunity to uncover the wadis and the traditions of one of the most arid regions in the world. Café: Al Numeira also operates a roadside café in a bid to attract more guests. This venture provides the NGO with another source to generate funds and allows the local community to sell their organic products. The café also provides food, which reflect the region and beyond. The café has become very popular with those living in the Karak area. NEA has brought their greywater project to local schools and mosques. They aim to reduce the amount of water used while educating the community about a more sustainable lifestyle. In the years since its inception, Al Numeira has been successful in revitalizing the community’s farmland and gardens, which is also limiting the amount of dust and sand picked up by wind in the immediate area. They are reintroducing traditional agricultural practices, ones that do not harm the environment. challenging hiking trails. They are also, unfortunately, often filled with trash and debris. William, a local resident of Ghor Al Mazraa, went for hike with his family in the nearby Wadi Numeira. After their hike William and his family were taken aback by the amount trash and pollution so close to their homes and farmland. That hike started the desire to be environmental leaders in their community, to instigate the change they needed to see rather than waiting for someone else to direct it. Together with other concerned members of their community they started the Al Numeira Environmental Association to address environmental issues in their area. The association members are highly educated and work as engineers at a nearby Bromine factory. They take their expertise back to the community they were raised in to alleviate environmental challenges. Being near the lowest point on Earth the communities south of the Dead Sea suffer from high temperatures and lack of water resources, the association develops fully operational greywater systems that help to recycle at least 50% of the water consumed. They have brought this successful technology to different schools and mosques in their village. The association also leads weekly classes for local youth to introduce them to environmental conservation to ensure the change does not stop with them, but rather, continues through the next generation.